NASHPORT, Ohio. – High school teams from around the country were at Dillon Lake today to compete. Race Director, Lisa Osborne said the course is 7 lanes wide, and nearly a mile long. “The course is a 15 hundred meter, fully buoyed course that actually starts up there in the cove, up there which is a really protected area. There is really little wind and they finish right here 1,500 meters down the course,” said Osborne. The race directors said this is one of the few race courses fans can see the race from start to finish. The spectators really enjoyed the race this afternoon including Kevin Rogers. His daughter was racing for the Laurel School. “This is our first time here, never been here before. It’s beautiful, the set up is perfect for a regatta. You have a nice hill, so you have a good vantage point and you have open water. We’re going to be back here in a few weeks for the Mid-West Championships I think,” added Rogers. 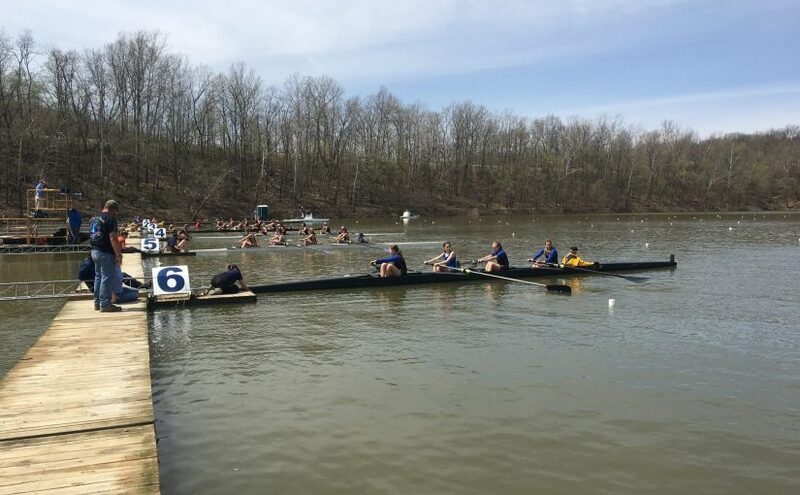 Shaker Heights high school, Rower Gabbi Fortin said she also enjoyed her time on Dillon Lake today, and said the lake was in beautiful condition. “Well Dillon Lake, a lot of people have said this is actually Shaker’s best race course. We go to Mid-West here, which is kind of like the regionals of crew. It’s awesome, it’s our best race course. It’s straight and it’s really clean,” said Fortin. The race directors said the weather really cooperated today, and hope that continues throughout the summer at the other regattas.